The National Council of the Kodály Music Education Institute of Australia is pleased to present the project report and outcomes of the inaugural 2016 Australian Kodály Scholarship. 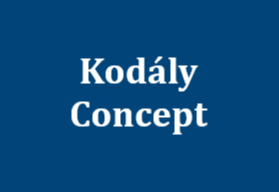 Jodie O’Regan has produced a tremendous resource that embodies the Kodály philosophy and music for all. Singing the Dots aims to develop musicianship and music literacy in adult community choirs. 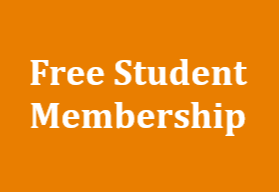 Featuring a Foreword by Dr James Cuskelly, this resource provides a valuable contribution to community singing and music education. 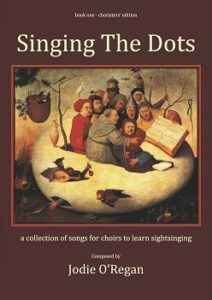 A choristers and directors edition of Singing the Dots along, with the Project Report, are available as FREE downloads for EVERYONE on our national website. On behalf of all members, I offer my thanks and congratulations to Jodie on the completion of this project. 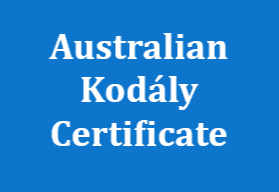 I take this opportunity to remind you that applications and nominations for the 2018 Australian Kodály Scholarship ($5000) and Enid Scott Conference Award (up to $2000) close 31 March 2018. These are significant national awards. I encourage you to read the full details on the Scholarship page of the national website and consider applying.